Upset by his neat little declaration – existentialism in a nutshell – by the calm matter-of-factness of it, and by the way the others seemed to take it for granted, I wanted to pursue the subject. But O. Henry’s remark “Conversation in Texas is seldom continuous” applies to California, too. Dracula had ended, and the conversation shifted to other, more “serious” subjects. But his attitude, which had never occurred to me, helped explain some of my recent moviegoing experiences. I don’t mean that I agree that The Beast with Five Fingers is a great horror film, but that his enthusiasm for the horror that cannot be rationalized by the mythology and rules of the horror game related to audience reactions that had been puzzling me. Last year I had gone to see a famous French film, Georges Franju’s Eyes Without a Face, which had arrived in San Francisco in a dubbed version called The Horror Chamber of Dr. Faustus and was playing on a double-horror bill in a huge Market Street theater. It was Saturday night and the theater, which holds 2646, was so crowded I had trouble finding a seat. Even dubbed, Eyes Without a Face, which Franju called a “poetic fantasy,” is austere and elegant: the exquisite photography is by the great Shuftan, the music by Maurice Jarre, the superb gowns by Givenchy. It’s a symbolist attack on science and the ethics of medicine, and though I thought this attack as simpleminded in its way as the usual young poet’s denunciation of war or commerce, it is in some peculiar way a classic of horror. Pierre Brasseur, as a doctor, experiments systematically, removing the faces of beautiful young kidnaped women, trying to graft them onto the ruined head of his daughter. He keeps failing, the girls are destroyed and yet he persists – in some terrible parody of the scientific method. In the end, the daughter – still only eyes without a face – liberates the dogs on which he also experiments and they tear off his head. It’s both bizarrely sophisticated (with Alida Valli as his mistress doing the kidnaping in a black leather coat, recalling the death images from Cocteau’s Orpheus) and absurdly naive. Franju’s style is almost as purified as Robert Bresson’s, and although I dislike the mixture of austerity and mysticism with blood and gore, it produced its effect – a vague, floating, almost lyric sense of horror, an almost abstract atmosphere, impersonal and humorless. It has nothing like the fun of a good old horror satire like The Bride of Frankenstein with Elsa Lanchester’s hair curling electrically instead of just frizzing as usual, and Ernest Thesiger toying with mandrake roots and tiny ladies and gentlemen in glass jars. It’s a horror film that takes itself very seriously, and even though I thought its intellectual pretensions silly, I couldn’t shake off the exquisite, dread images. But the audience seemed to be reacting to a different movie. They were so noisy the dialogue was inaudible; they talked until the screen gave promise of bloody ghastliness. Then the chatter subsided to rise again in noisy approval of the gory scenes. When a girl in the film seemed about to be mutilated, a young man behind me jumped up and down and shouted encouragement. “Somebody’s going to get it,” he sang out gleefully. The audience, which was, I’d judge, predominantly between fifteen and twenty-five, and at least a third feminine, was as pleased and excited by the most revolting, obsessive images as that older, mostly male audience is when the nudes appear in The Immoral Mr. Teas or Not Tonight, Henry. They’d gotten what they came for: they hadn’t been cheated. But nobody seemed to care what the movie was about or be interested in the logic of the plot – the reasons for the gore. And audiences have seemed indifferent to incomprehensible sections in big expensive pictures. For example, how is it that the immense audience for The Bridge on the River Kwai, after all those hours of watching a story unfold, didn’t express discomfort or outrage or even plain curiosity about what exactly happened at the end – which through bad direction or perhaps sloppy editing went by too fast to be sorted out and understood. Was it possible that audiences no longer cared if a film was so untidily put together that information crucial to the plot or characterizations was obscure or omitted altogether? What Ever Happened to Baby Jane? was such a mess that Time, after calling it “the year’s scariest, funniest and most sophisticated thriller,” got the plot garbled. In recent years, largely because of the uncertainty of producers about what will draw, films in production may shift from one script to another, or may be finally cut so that key sequences are omitted. And the oddity is that it doesn’t seem to matter to the audience. I couldn’t tell what was going on in parts of 55 Days at Peking. I was flabbergasted when Cleopatra, with no hint or preparation, suddenly demonstrated clairvoyant powers, only to dispense with them as quickly as she had acquired them. The audience for The Cardinal can have little way of knowing whose baby the priest’s sister is having, or of understanding how she can be in labor for days, screaming in a rooming house, without anybody hearing her. They might also be puzzled about how the priest’s argument against her marriage, which they have been told is the only Catholic position, can, after it leads to her downfall and death, be casually dismissed as an error. It would be easy to conclude that people go to see a “show” and just don’t worry if it all hangs together so long as they’ve got something to look at. But I think it’s more complicated than that: audiences used to have an almost rational passion for getting the story straight. They might prefer bad movies to good ones, and the Variety list of “all-time top grossers” (such as The Greatest Show on Earth and Going My Way) indicates that they did, but although the movies might be banal or vulgar, they were rarely incoherent. A movie had to tell some kind of story that held together: a plot had to parse. Some of the appreciation for the cleverness of, say, Hitchcock’s early thrillers was that they distracted you from the loopholes, so that, afterwards, you could enjoy thinking over how you’d been tricked and teased. Perhaps now “stories” have become too sane, too explicable, too commonplace for the large audiences who want sensations and regard the explanatory connections as mere “filler” – the kind of stuff you sit through or talk through between jolts. 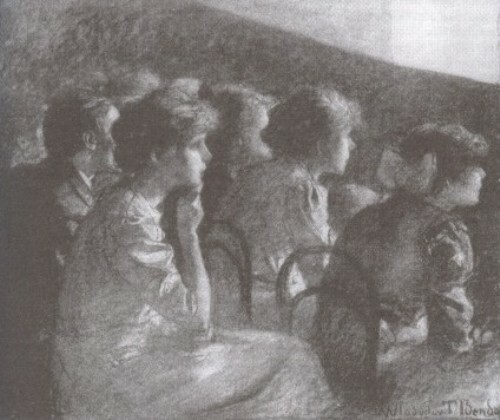 It’s possible that television viewing, with all its breaks and cuts, and the inattention, except for action, and spinning the dial to find some action, is partly responsible for destruction of the narrative sense – that delight in following a story through its complications to its conclusion, which is perhaps a child’s first conscious artistic pleasure. The old staples of entertainment – inoffensive genres like the adventure story or the musical or the ghost story or the detective story – are no longer commercially safe for moviemakers, and it may be that audiences don’t have much more than a TV span of attention left: they want to be turned on and they spend most of their time turning off. Something similar and related may be happening in reading tastes and habits: teen-agers that I meet have often read Salinger and some Orwell and Lord of the Flies and some Joyce Cary and sometimes even Dostoyevsky, but they are not interested in the “classic” English novels of Scott or Dickens, and what is more to the point, they don’t read the Sherlock Holmes stories or even the modern detective fiction that in the thirties and forties was an accepted part of the shared experience of adolescents. Whatever the reasons – and they must be more than TV, they must have to do with modern life and the sense of urgency it produces – audiences can no longer be depended on to respond to conventional forms. Comments: Pauline Kael (1919-2001) was an American film critic, noted for her strong opinions and sharp style. This is the first half of her essay. She continues with an argument against technique in ‘art house’ films for technique’s sake. She concludes, “People go to the movies for the various ways they express the experiences of our lives, and as a means of avoiding and postponing the pressures we feel. This latter function of art – generally referred to disparagingly as escapism – may also be considered as refreshment, and in terms of modern big city life and small town boredom, it may be a major factor in keeping us sane.” My thanks to Dawid Glownia for bringing the essay to my attention. This entry was posted in 1960s, Essays, USA and tagged 55 Days at Peking (1962), Cleopatra (1963), Dracula (1931), Horror, Les Yeux Sans Visage (1959), Pauline Kael, Television, The Bridge on the River Kwai (1957), The Cardinal (1963). Bookmark the permalink.